Last month, we reported that more Breaking Bad references would be made in season two of Better Call Saul. But for fans who didn’t catch the Easter eggs in season one, AMC has released a special video about the callbacks. Better Call Saul‘s lead character, Saul Goodman (aka Jimmy McGill aka the actor Bob Odenkirk) first appeared in season two of Breaking Bad as a criminal lawyer. The video highlights all the Breaking Bad homages which include the origin of the name Saul Goodman and the time Jimmy convinced a woman he was Kevin Costner. 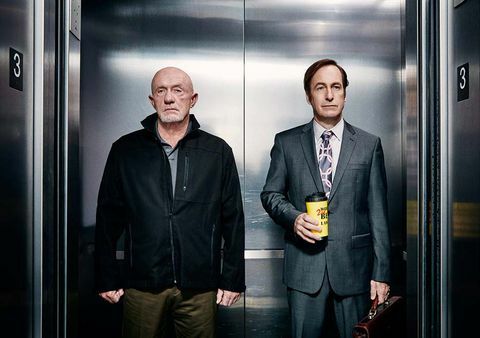 Season two of Better Call Saul premieres on February 15th. What do you think? Are you a fan of Breaking Bad and Better Call Saul? Did you catch all the Easter eggs in season one? “Better Call Saul” is one of my MOST FAVORITE shows to watch! I just love, love LOVE the show!